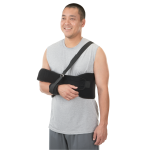 Highland Orthopedic supply carries a huge selection of discount shoulder braces and clavicle supports to meet your individual needs. 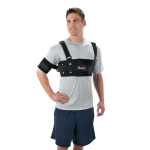 Our shoulder braces were designed to accommodate a variety of needs and conditions – from weight lifters suffering from torn rotator cuffs to athletes recovering from shoulder dislocations and separations. 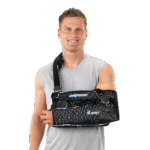 We have shoulder slings and immobilizers for use immediately after surgery, as well as flexible bracing for when you are ready to return to activity. 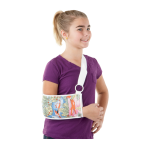 Our braces are designed to accommodate a number of sports and those with active lifestyles, including football, volleyball, baseball, basketball, wrestling, Moto-cross/Dirtbike, and they are designed for people of all ages, shapes, and sizes. We offer discounted pricing on top brands like Breg, DeRoyal, and more.